Ever wanted to travel back in time? More specifically, have you ever wanted to go back to 1893 to visit the Chicago World’s Fair? 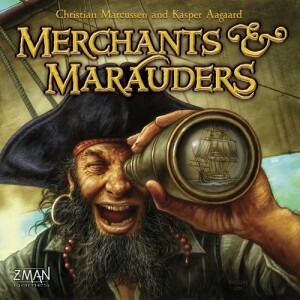 Well, thanks to the power of board games, you can! 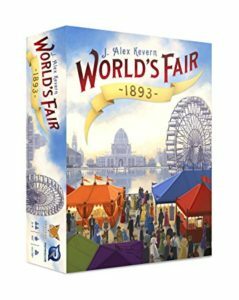 World’s Fair 1893, a 2016 Mensa Select winner, is the most recent game by designer J. Alex Kevern, published by Foxtrot Games. What’s that sound coming from the ventilation shafts? 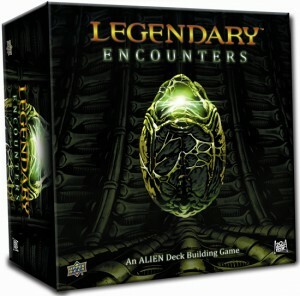 Legendary Encounters is a cooperative, deck-building game where players team up to survive and defeat the Alien (like the movies!) assault. 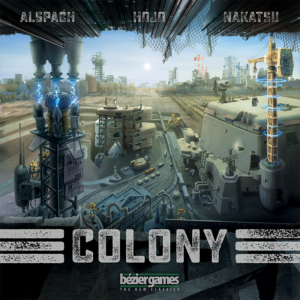 Each player has a role, and players draft “character” cards to build their own personal decks that are used to search for and battle aliens, recruit new characters cards, and to assist other players on their turns. 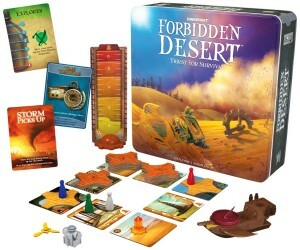 The game comes with four scenarios that correspond to the Alien movies, and can also be played by randomizing the encounters and characters.